The Bandsintown block displays the list of concert dates for an artist. 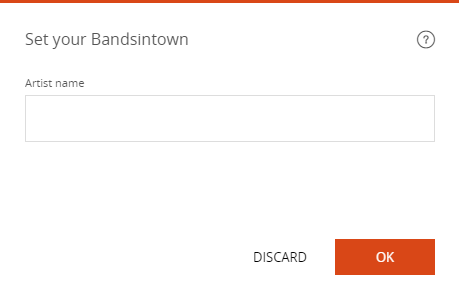 Click "Add content" where the "Bandsintown" block should be placed on the page. If the artist is well referenced on the site and concert dates are to come, the dates are automatically displayed with buttons allowing the reservation. Any new date added to the artist's agenda on Bandsintown will automatically appear in the "Bandsintown" block on the site.